The New York Times is demanding that Congress fix one of the country's worst facilities for animal welfare - or shut it down. 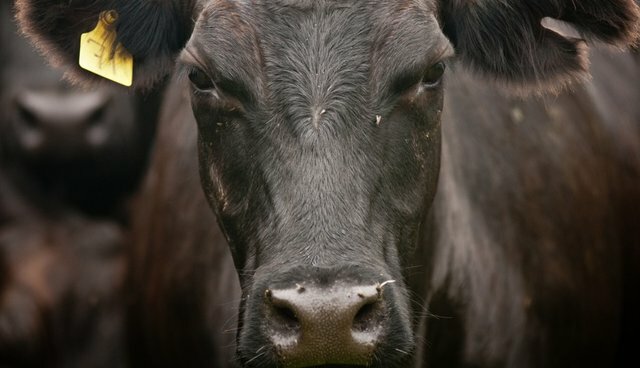 Last week, the Times published an in-depth investigation into the taxpayer-funded U.S. Meat Animal Research Center, a facility in Nebraska that conducts experiments on livestock in an attempt to "improve" industrial agriculture production by making it more profitable. On Monday the Times' editorial board published a scathing op-ed calling the center "sickening." What's more, the article notes that this facility is far from the only one in the U.S. agricultural system that harbors animal cruelty and terrible environmental practices. But the conditions of industrial feedlots and factory farms - the confinement of animals, the rampant use of antibiotics, the manure lagoons - would shock anyone who naïvely imagines farms as bucolic places out of children's books. And while the federal Animal Welfare Act seeks to limit suffering, it does not regulate farm animals used in agricultural research. The original story detailed disturbing animal welfare practices, including pigs being crushed by their mothers, cows giving birth to deformed calves and the frequent and gory deaths of young lambs birthed by a new strain of "easy-care" sheep. The center has housed more than 580,000 animals in the past 30 years. The op-ed ends with a plea to Congress, which established the center 50 years ago. It should oversee it and reform it - or shut it down.